The "ADOL" ltd. it has ownership for 60 labels and it is potential producer of products. 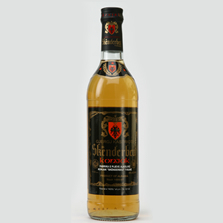 The "ADOL" ltd. is the only company legally authorized by the competent Albanian governmental authority for the production and packaging of the cognac "Gjergj Kastrioti Skënderbeu". The essences of alcoholic beverage produced in this Cantina are natural.They are obtained by manufacturing differnt plants and fruits of the Albanian and foreign flora.